There are many ideas about the factors that contribute to the ethics of an organization. These ideas range from ethical leadership to a concern for stakeholders to having a mission beyond economic success. While these ideas seem plausible, there is little evidence to support them. More importantly, there is often little you can do to affect these factors. A company that makes coat hangers is limited in the extent to which it can make its mission inspiring. 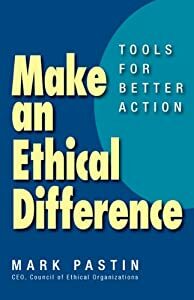 So a team of researchers set out to isolate actionable factors that contribute to an organization’s ethics. Their research found three factors that any organization can use to improve its ethics. The first factor is a work culture in which employees are never retaliated against for reporting concerns. Many studies show that organizations in which employees report errors do better on quality measures and our research supports this. Employees in all organizations fear retaliation to some extent, especially when reporting on their managers. This fear of speaking up allowed unethical practices to persist at GM and Volkswagen even when many employees knew better. Ethical organizations don’t pretend that fear of retaliation does not exist but instead work to create a culture in which retaliation is not tolerated and reporting is expected. More to follow.